At the 2015 general election, the Labour Party leadership were said to be pursuing a 35% strategy. This referred to Labour trying to appeal to its own supporters and those of the Lib Dems who were appalled by the party going into coalition with the Tories in 2010. If Labour had achieved a 35% vote share they would probably have had a small overall majority in Parliament. The opinion polls put them not far off scoring 35%, but in the end Labour only polled 30.4% of the share of the vote in the 2015 general election, and the Tories ended up with a small majority of their own. It is important to note what the 2015 opinion polling was predicting, because they got the result badly wrong, and what I say below is based on this year’s opinion polls, and may well be wrong again. In the last few days opinion polls have started predicting Labour getting into the low 30 per cents of the national vote share. ORB’s weekly poll in the Sunday Telegraph has topline figures of CON 46%(nc), LAB 32%(+1), LDEM 8%(-1), UKIP 7%(-1). Whilst Opinium in the Observer has topline figures of CON 47%(+1), LAB 32%(+2), LDEM 8%(-1), UKIP 5%(-2), GRN 2%(nc). A third poll by YouGov/Sunday Times has topline voting intention figures of CON 49%, LAB 31%, LDEM 9%, UKIP 3%. A fourth poll released on Tuesday by Panelbase has topline figures of CON 47%(-1), LAB 33%(+2), LDEM 7%(-1), UKIP 5%(nc), which is the highest figure of the campaign for Labour. What is different now though to the 2015 general election is the Tories are polling much better than they did in 2015, where they got only 36.9% of the vote share. You can see from the above polling that the Tories are polling in the high 40s per cent, so a 31% strategy for Labour, or indeed a 35%, will not be enough for Labour to even remove the Tories small majority from 2015, and the Tories look to be on course for a substantial majority this year. But that is not the point of the 31% strategy at all. It is not about Labour getting a majority, or even limiting the Tory majority much, it is all about the internal, ongoing struggle for control of the Labour Party. The Unite union leader Len McCluskey, gave the game away really by saying that Labour winning around 200 seats in the general election would be a good result, although that would be the worse general election result for Labour since 1935. McCluskey later backtracked on the coment. What the 31% strategy would achieve, and this seems to be the objective of it, is that it would beat the 2015 share of the vote which ex Labour leader, Ed Miliband, got. Then it can be argued after the election, that Labour are heading in the right direction, and secure Jeremy Corbyn’s future as Labour leader. In terms of ambition, this is pretty piss poor, but Labour are only interested in internal party conflicts here rather than winning this election. Of course, changing the Labour Party is a big job, and may well take more than one general election to cement, but it does leave the country at the mercy of an ultra-right wing Tory Party, with a huge majority in Parliament. For this not to happen, Labour needs to take potential voters off the Tories, and the Lib Dems need to as well, with the SNP holding off the Tory revival in Scotland, and retaining their gains from 2015. There are still three weeks to go until the election, so maybe the Tory vote can be eaten into, but we need to see the Tory polling figure falling below 40%, which to be fair was the case in the recent local elections where the Tories got only 38% of the vote share. So maybe this is possible. Labour are now polling better than at any time in the last 180 days. As you know Corbyn inherited a Labour Party that has been in decline for 30 years under New Labour. We have had two years of daily attacks by the media on Corbyn and he has managed to survive and thrive in that period. Things are now turning around as Labour declare their policy proposals and we are now able to see the real Jeremy Corbyn with less of a media filter. Remember the fortunes of Trump and Brexit turned around in the last 72 hours. The same may happen in our General Election. It would make such a positive difference to the people of the UK if we got a Corbyn led Labour Government.
" Labour Party that has been in decline for 30 years" -Where does Tony Blair's three successive massive victories over the Conservatives fit into that then? Love or hate him he could win elections. I have heard these excuses about a hostile media, but Labour always gets a hostile media, Miliband did, Kinnock did, even Blair did a bit in 1997. It is just a given for Labour, they need to to cope with that. In the 2015 general election, the turn-out was 66.4%... or to put it another way - a third of those entitled to vote chose not to, for whatever reason. A lot of these, I suspect were natural Labour voters who felt that New Labour had become pale shadows of the Tories - a pivotal moment was when Rachael Reeves promised to be harder on benefit claimants than the Tories. Certainly that was the point New Labour lost my vote (to the Greens, not least because I was unemployed at the time and trying to cope with Iain Duncan Smith's war on the poor. Frankly, I didn't expect ever to vote Labour again, I expected them to dwindle away into some right wing rump of a party. Corbyn's election changed the game - not least because it was obvious that he wasn't supposed to (the intention of even letting him on the ballot was, I suspect, that he should finish in a miserable last place, thereby allowing the powers that be to claim that no-one wanted socialism any more). 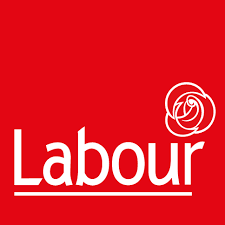 So this time around I shall be voting Labour again (sorry Greens). The question is, how many of that third of the electorate that witheld their vote last time share similar sentiments ? Interesting point to ponder, isn't it, and not one I've seen any of the "experts" adress. Do you expect the turn out to be significantly higher than 2015? I don't. I think turn out will be lower than the referendum, voting fatigue, but I could of course be wrong. As my hand will be voting for Labour, my heart will be voting Green, in the Isle of Wight! Sorted!